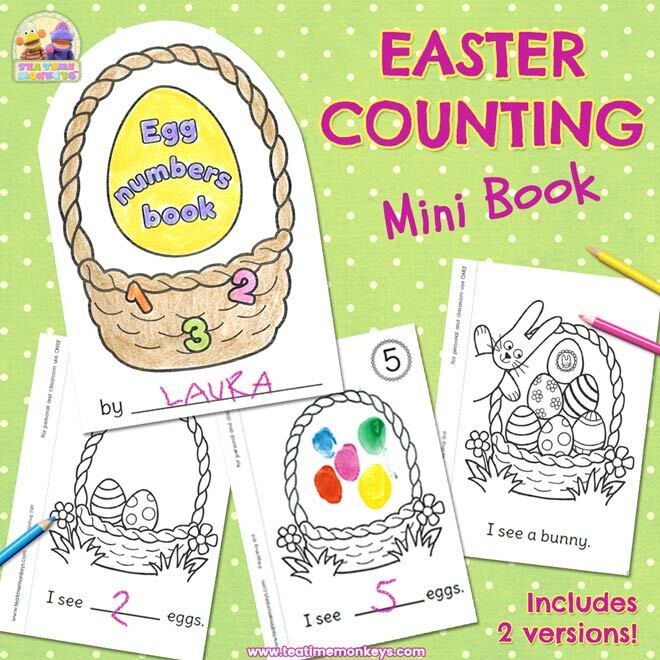 This cute, FREE mini book is perfect for some Spring or Easter counting practice with your little ones! Features the numbers 1 – 6, and you have two versions to choose from! 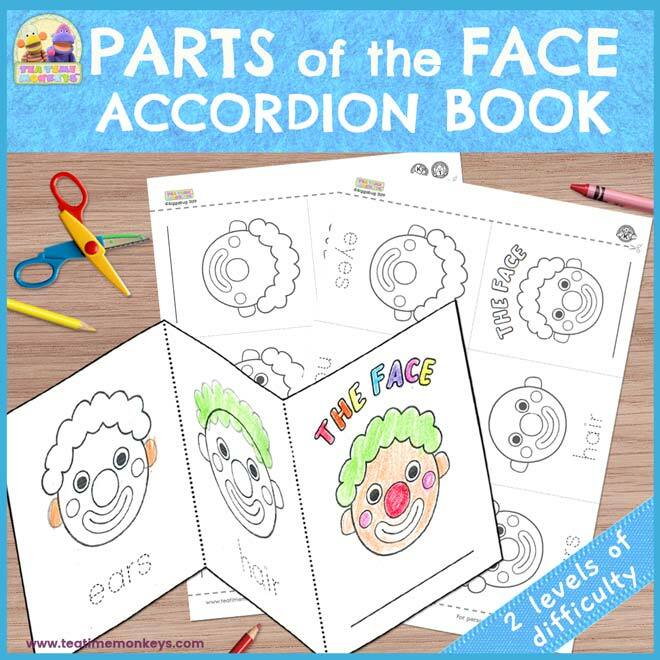 Teach your little ones some parts of the face vocabulary with this easy to construct accordion book that they’ll love making! They have to draw the parts of the clown’s face that are missing, then they can trace or write the words under each picture. 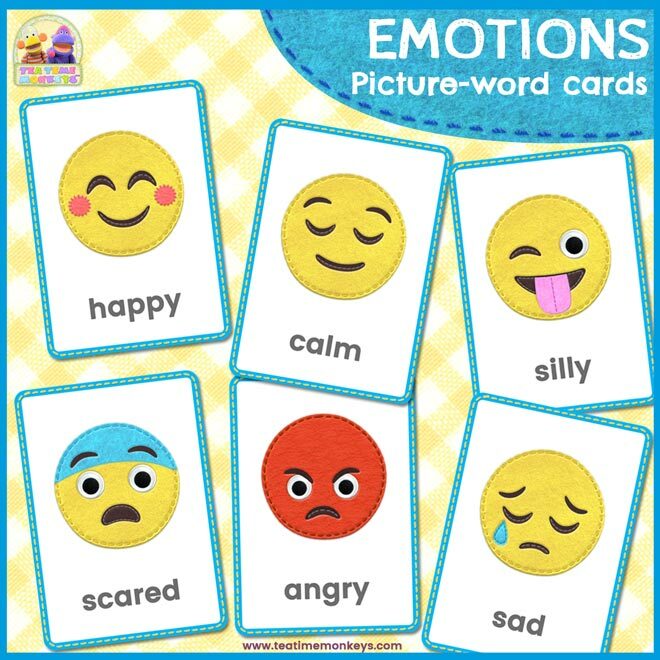 Use this set of FREE, fun, pocket-sized emoji EMOTIONS flashcards to teach and explore feelings words with your little ones! 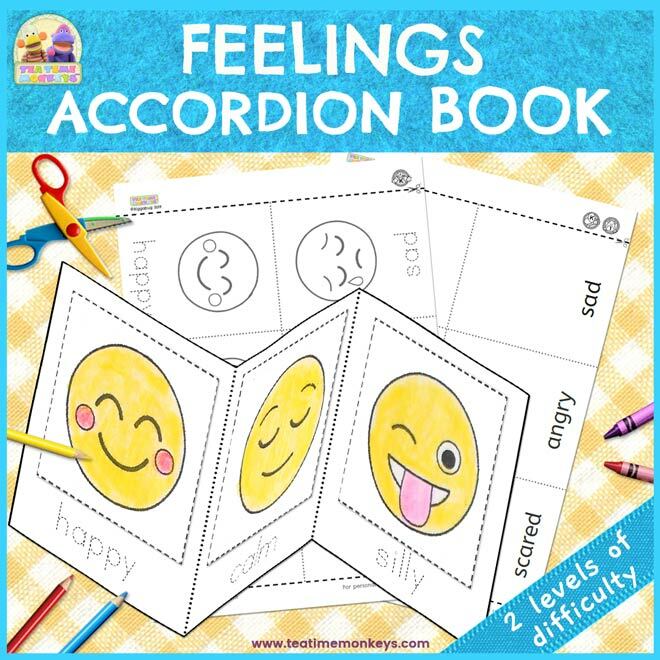 Teach your kids some feelings and emotions vocabulary and give them some reading, writing and scissors practice with this easy to construct accordion book! 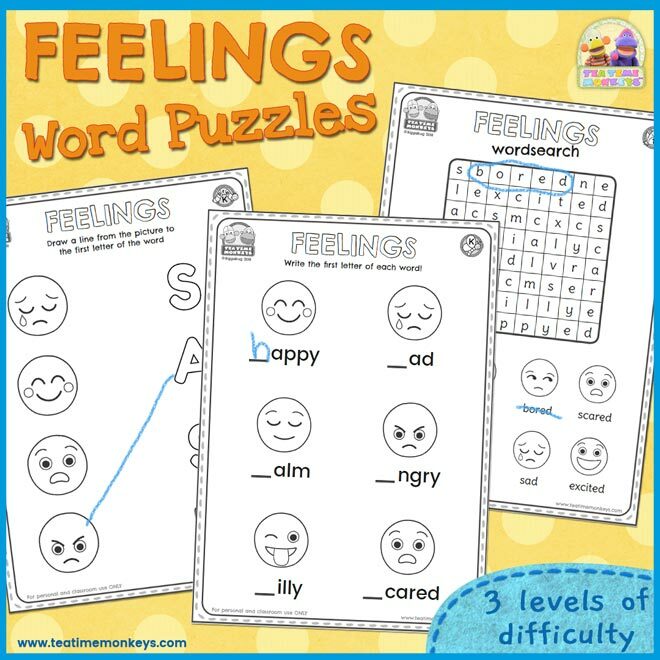 Use these word puzzles to practise feelings and emotions vocabulary with your kids! Includes word searches and letter/word match games in three levels of difficulty. 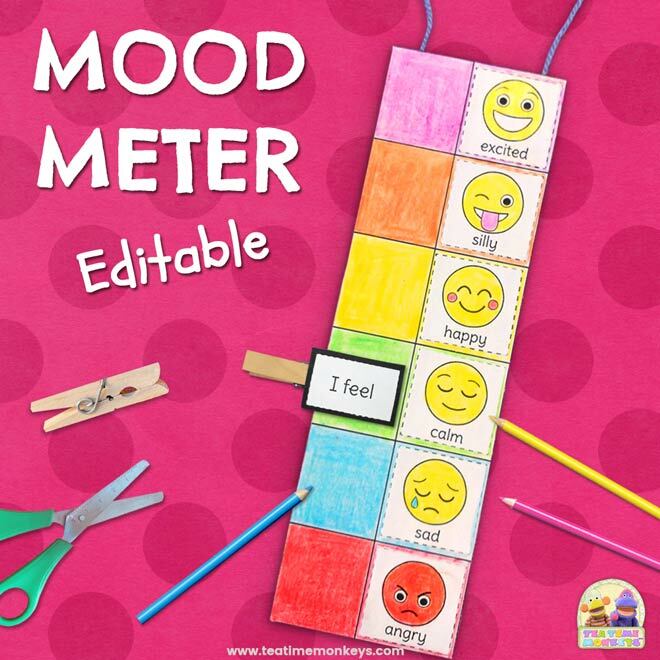 This mood meter is really easy to make and is great for practising emotions vocabulary and exploring feelings with your kids. All you need is some paper, card, yarn and a clothes pin! Perfect for kids to hang on their bedroom door or classroom wall. This printable game is a fun way for little ones to practise words associated with Christmas. First one to complete their bingo board wins! 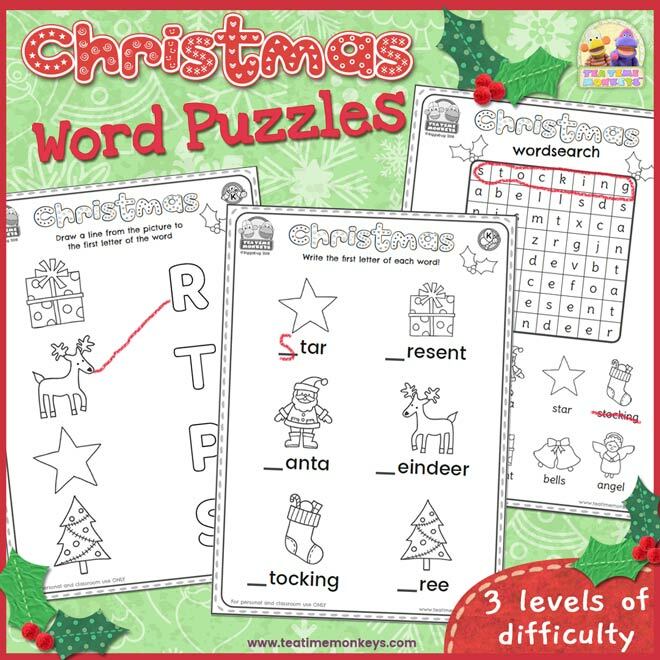 These simple word puzzles are great for practising Christmas vocabulary with your kids! Includes word searches and letter/word match games in three levels of difficulty – 8 puzzle sheets in total! 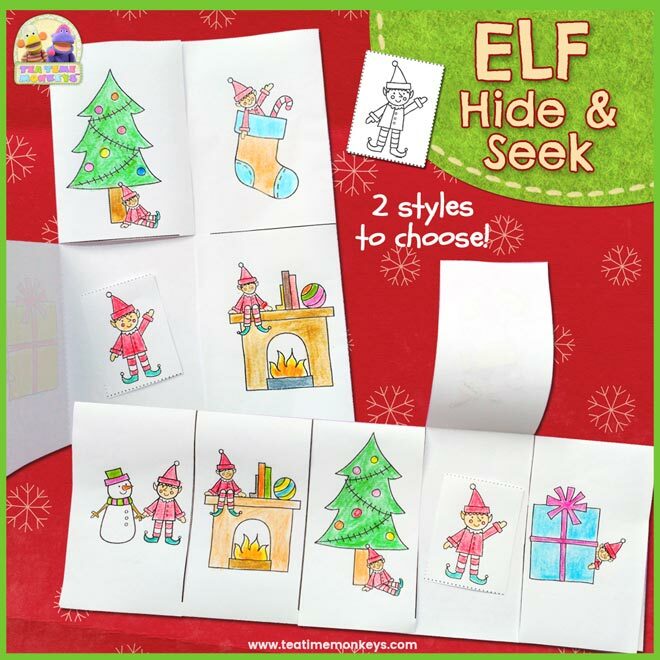 Use this simple printable to play a fun Elf hide and seek game with little ones! Hide the Elf under one of the pictures. Children try to guess where he or she is – lift up the flap to see if they’re right! 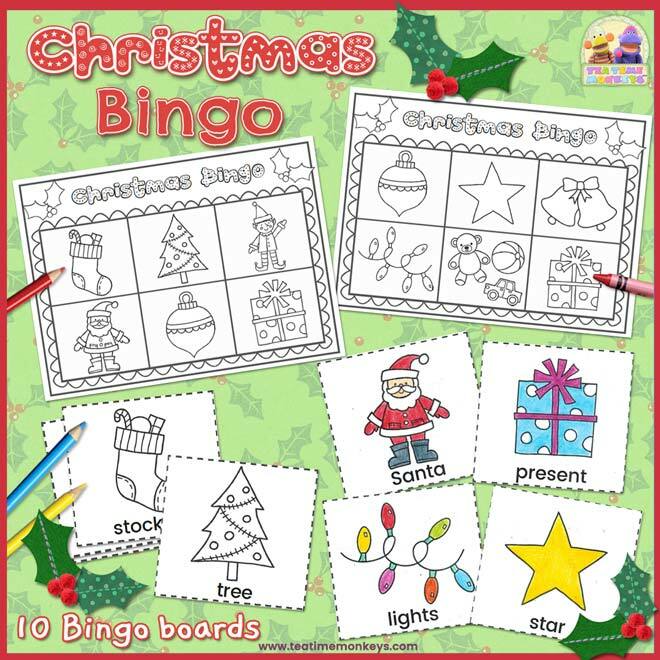 Great for practising prepositions of place and Christmas words. 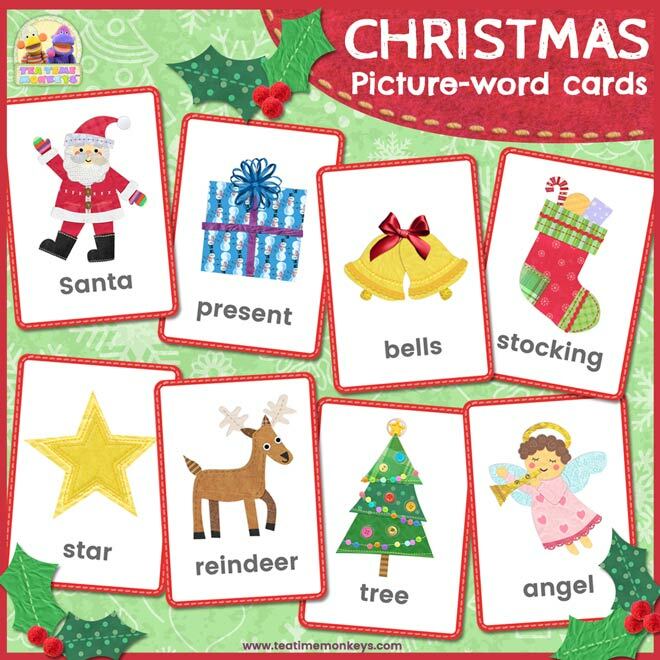 Use these lovely pocket-sized CHRISTMAS flashcards with your child to teach or review vocabulary, or play fun flashcard games! Includes eight Christmas related words and original illustrations!